We are taking part in the Big battery Hunt which is one of the largest recycling challenges in the UK. The challenge is to collect as many batteries as we can before Easter to be in with a chance of winning some science themed prizes for school as well as teaching the children the importance of recycling. If anyone has any batteries could they please drop them in at school or there is a collection bucket in the Community Centre foyer. This entry was posted in General News on January 31, 2018 by North Luffenham. Last September Rutland County Councillors voted to introduce a £35 charge for green bin collections, starting from April this year. In the next few days all eligible households will receive a letter inviting them to sign up for the chargeable service from Monday 22nd January. Residents will be able to sign up online, over the phone, or in person at the Council’s offices. This entry was posted in General News on January 19, 2018 by North Luffenham. As the nights get colder and darker, the chances of severe weather increase. Since 1990, gas and electricity network companies have invested over £80bn to make the UK’s gas and electricity supply more reliable than ever before. But storms, floods and other extreme weather can still cause damage and disruption. This entry was posted in General News on November 30, 2017 by North Luffenham. This entry was posted in General News on May 31, 2017 by North Luffenham. The village trip this year is going to Cleethorpes on Wednesday 21st june, this is a free trip through the generosity of North Luffenham Village Trust. 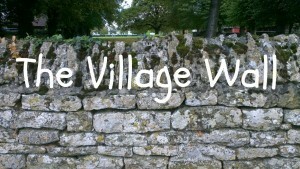 It is open to everyone in the village young and old. The bus leaves Pinfold Close and the bottom of Kings Rd at 9am approx. I still have some vacant seats , come and enjoy a day out. Ring Evelyn 01780720528. This entry was posted in Village Trust on May 15, 2017 by North Luffenham. There was a wedding today at St. John the Baptist Church, North Luffenham, and the flowers. all white, are still in place. There is no service tomorrow and the church is open: you are welcome to visit and enjoy. This entry was posted in General News on May 13, 2017 by North Luffenham.